Sisters Alison and Serina Chang, or the Gemini Shortcake Duo, appeared on Show 253, recorded in May 2012. The Gemini Shortcake Duo is coached by Yegor Shevtsov and consists of sisters, 17-year-old pianist Alison Chang and 14-year-old pianist Serina Chang from New York, New York. Both attend Hunter College High School and the Manhattan School of Music’s Pre-College Division. The pair performed in Alice Tully Hall as part of the Chamber Music Society of the Lincoln Center Young Musicians Program and was featured in the Queens Symphony Orchestra’s Holidays Around the World concerts in 2010. 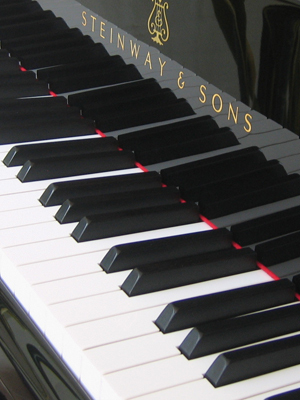 In 2009, they won the grand prize of the Chicago Duo Piano Festival Competition.